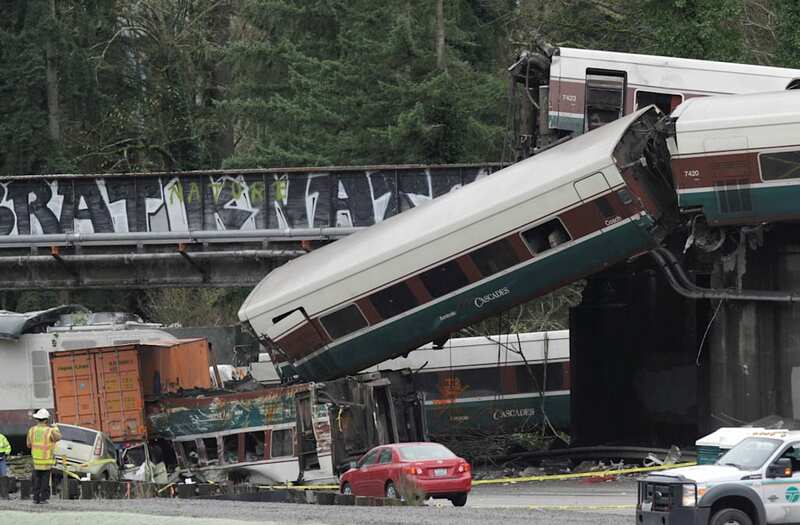 According to CBS News, the other victim named as Willhoite's fellow train lover, 61-year-old Jim Hamre. Local reports say the men were best friends. "The entire Pierce Transit team was deeply saddened to learn that one of our employees was a victim of the Dec. 18 Amtrak train accident," read a statement from Pierce County following the news of Willhoite's death. "Jim was among the country's most respected and effective rail advocates and a good friend and mentor to me. I will miss his counsel, and our community is poorer for his loss," said Jim Mathews, president of the Rail Passengers Association. The men were killed after the train, on its maiden voyage down a corridor created as part of a recently completed $180.7 million project, rounded a turn at what inspectors say was too high a rate of speed.